With the wedding season about to kick-off, friends of the groom might find themselves hard-pressed for unique ideas for bachelor party. A bachelor party is a once in a lifetime experience and is an occasion meant for guys to bond with each other and celebrate the groom's last days as an unmarried bachelor. We here at Wedamor have a few ideas for bachelor party that you would like to use for your bachelor party. Clubbing is one of the go-to ideas for bachelor party for grooms who want to have a fun night out with friends, get a couple of drinks and dance the night away. It is also a great way for your single friends to meet women, so you can get a chance to throw them a bachelor party in the near future. Clubbing can be done on a shoe-string budget, and there are also expensive clubs with popular DJs where you can splurge for this special night. If you want to party hard with your friends but are not too keen on making strangers a part of your experience, this is the perfect idea for your bachelor party. Rent a beach house, get your booze on and dance with your friends like there's no tomorrow. This is a good idea for your bachelor party if you are not into loud music and partying, and just want a quiet night out with your friends. Pack your camping equipment, tents and food, and set out for any popular or new camping spot. Depending on the laws of your country, the camping trip could turn into a hunting trip, where you and your friends tactically hunt exotic game. If you want to connect with the child in you one final time before your married life, hit a paintball or laser tag arena with your friends. 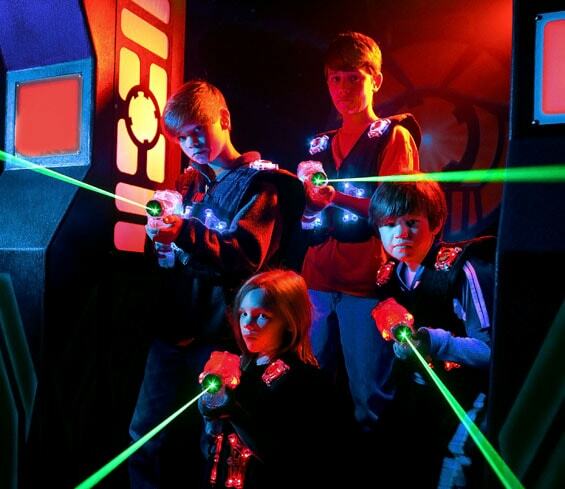 Laser tag arenas can be booked for a private party, or you could just have run teaming up with your friends and shooting down other teams. Remember when Barney Stinson and Robin's dad showed those kids how it's done? Gone are the days when skydiving was strictly a military thing. If you and your friends are into extreme sports, why not make your special day memorable by jumping out of a moving airplane? Skydiving is as thrilling as it gets. If you have the budget, it is an absolute sensation of an idea for making your bachelor party memorable. There usually is some or the other popular band or artist performing in every major city each evening. A concert is a perfect way to enjoy your special night out with your friends. Moshing, beer, and watching your favorite musicians performing live; it doesn't get any better than a concert if you want a wild idea for your bachelor party. Who knows, you might even be lucky enough to get a chance to meet your favorite singer backstage. Remember that road trip you and the guys kept planning but never actually got to pull off? Well, what are you waiting for? Pack your bags, get in the car and get on the road. You can go to any popular destination as long as you get to spend quality time with the guys. Again, if you are into extreme sports, why not make it the central idea for your bachelor party? If you live near a snowy area, or if there's a ski arena in town, why not pack your skiing equipment and go skiing? Skiing can also very well be combined with camping, where you ski all day, and then spend the evening in a private lodge, sitting in front of the fireplace while enjoying a cup of hot chocolate with your friends. If there's a theme park nearby that you've yet to visit, why not use this idea for your bachelor party? Thrilling rides, water-based roller-coasters, boating, horror houses; there's a lot of fun to be had that you will remember for a long time. You can enjoy your day at a local theme park with your buddies if you want an unconventional party but have a limited budget. Gambling is synonymous with bachelor parties. A bachelor party is an event where even the most saintly of your friends will not refuse a hand of cards. Gambling is the most versatile way of having a gentleman's party. You can round up your friends at home for a night of poker, or you could visit a deluxe casino for a game of blackjack. You can also win your friends' money while you are at it. Have fun and go for broke! No matter what idea you choose for the bachelor party, the purpose is for the groom to have fun and enjoy his last days as a bachelor with his closest friends. So whether, you're dancing at a club, skydiving at 15,000 feet, or gambling at a casino; make sure it's the best night of his life!